This small and tight-handling two-seater remains the modern-day embodiment of the European roadsters that reigned the roads in the 1950s and '60s. 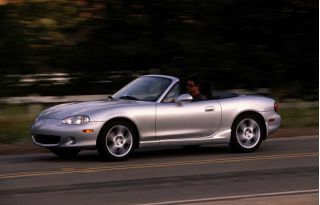 It's not the fastest sport car available, but it's always a pleasant ride when the sun goes up and the top comes down. Last year, P205/45WR16 tires on restyled aluminum wheels were newly standard, while a high-performance Mazdaspeed version was added to the lineup, powered by a 178-horsepower turbocharged version of the standard 1.8-liter four-cylinder engine. The base powerplant continues to generate 142 horsepower, and both a standard five-speed manual transmission and either a six-speed manual and four-speed automatic gearbox are alternately available. Four-wheel-disc brakes are standard, with ABS, a sport suspension, and a limited-slip differential on the options list. 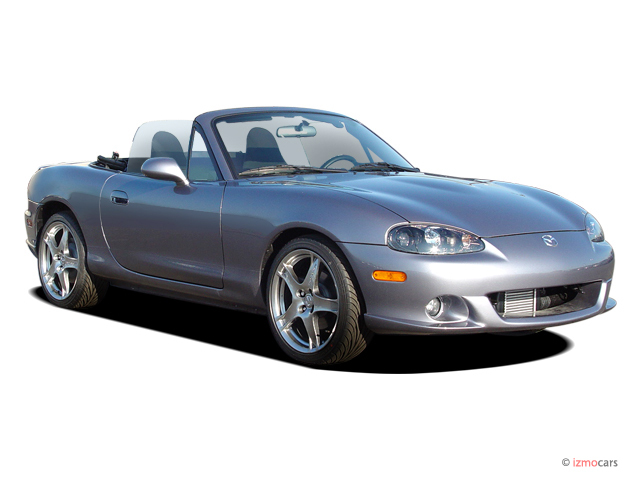 A removable hardtop and assorted appearance upgrades and convenience features are offered. 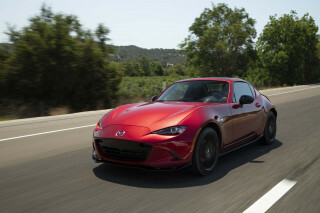 Looking for a different year of the Mazda MX-5 Miata?